WATERBURY – All-Star Transportation announced today that it is partnering with Prepare To Act to create a comprehensive training program that will teach drivers, monitors and other staff members how to respond to emergencies specific to the school transportation industry. Prepare to Act is a safety training company based in Watertown. 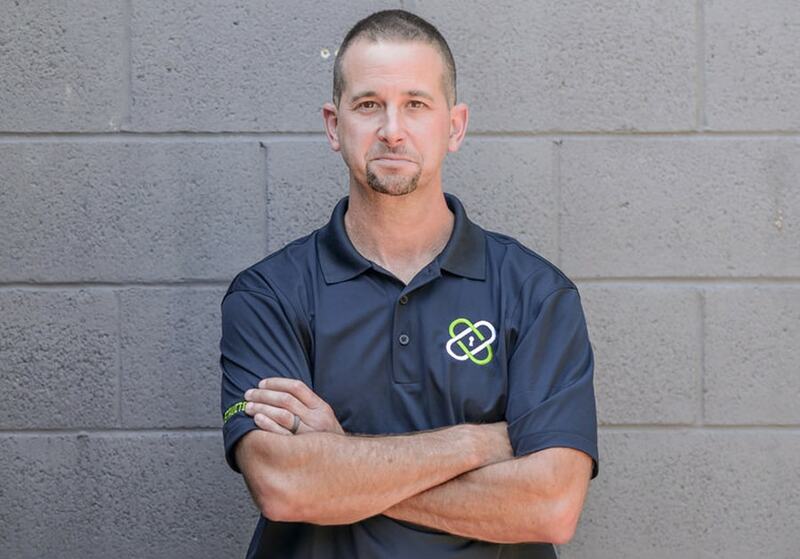 It was founded by Chris Marciano, a 20-year police veteran with extensive experience in personal, home, and corporate safety. “Chris has been working closely with our safety team to develop a comprehensive program that meets our specific industry needs,” said Leslie Sheldon, All-Star Transportation’s operations manager. “Our drivers, monitors and support staff are responsible for the safety of thousands of children each day, and it’s critical that they be prepared to cope with a wide variety of emergencies, from allergic reactions to vehicle accidents,” she added. 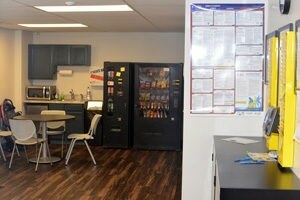 The new training program will be implemented company-wide to ensure that all employees are taught the same procedures. Of particular note, the new program will include training on how to administer EpiPens in response to a child suffering from anaphylactic shock to comply with a new state law. “I’ve seen allergic reactions get very bad very quickly,” Marciano said. “The EpiPen Injection is a vital piece of the overall picture. In and of itself, it won’t necessarily save a life. What it will do is buy you the time you need to get more advanced medical care. Training for employees will start in May and will be completed by July 1. The training also will be included in All-Star’s new driver program to ensure that all future employees are properly prepared for emergencies. All-Star Transportation operates 18 terminals in Litchfield, New Haven and upper Fairfield Counties in Connecticut, servicing the in-district and out-of-district transportation for 35 cities and towns. 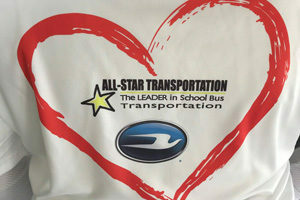 During the school year, All-Star Transportation safely transports more 47,000 students every day. 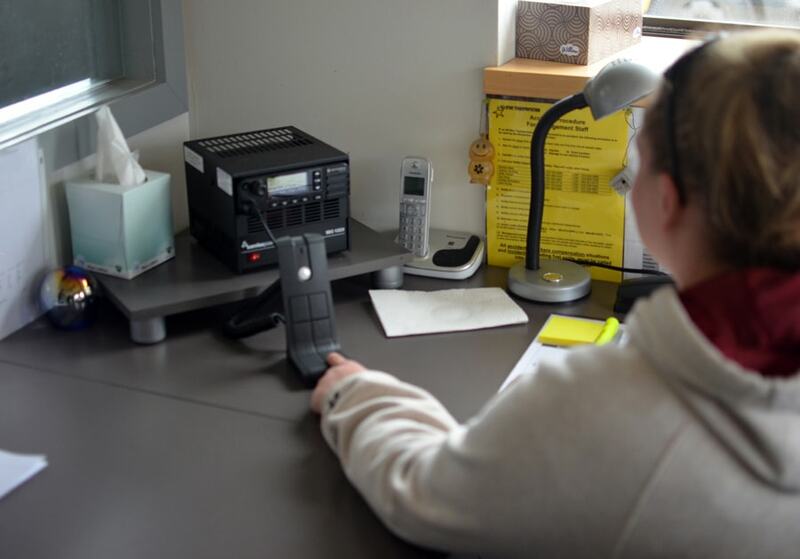 NEW MILFORD – In a bid to improve communication between New Milford drivers and their dispatcher, All-Star Transportation and the Town of New Milford have combined resources to install a new digital radio system that went into operation the day after the Presidents Day holiday. Work on the new system began months ago with new radios installed in buses, and a new base station and antenna installed at the terminal. A repeater also was installed on a town-owned tower located on a nearby hill to extend the reach of the radio into Sherman and the Gaylordsville section of northern New Milford. When agreeing to allow the repeater to be installed on one of its towers, the town also provided All-Star with one of its digital channels on its communication system. “It facilitates better safety,” explained John Pecha, All-Star’s director of safety and a former New Milford police officer. “Now that we are on the town frequency, police will be able to monitor” radio chatter, if needed. With the previous analog radio system, there were many dead spots, making it difficult for some of New Milford’s 78 buses and the dispatcher to connect. This was particularly true in Sherman and Gaylordsville, due both to the distance and the hilly terrain. This required other buses that heard a call from Sherman or Gaylordsville to dispatch to relay messages on behalf of the Sherman and Gaylordsville drivers. “Happily, this system will solve that,” Pecha said. 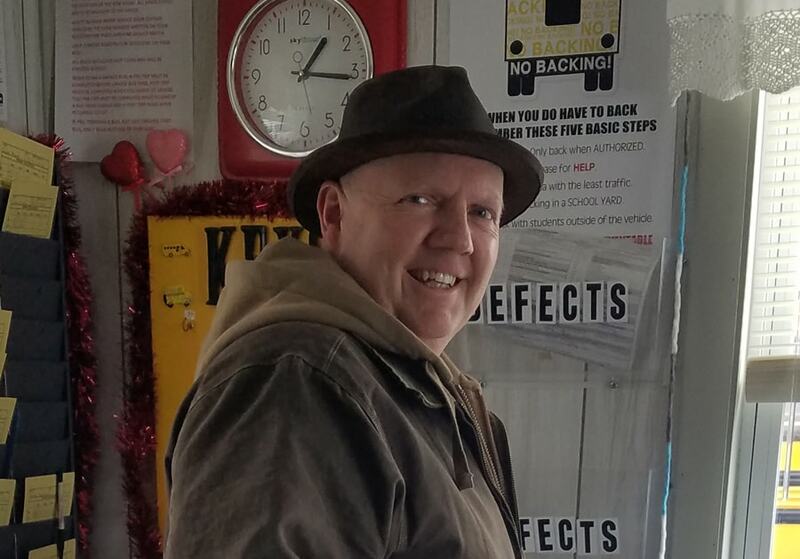 WASHINGTON – The way Gary Clark figures it, he has been engaged in teaching and training for most of his working life. So, when he retired after 37 years at the same company and joined All-Star Transportation, it felt natural for him to become both a driver and a trainer. 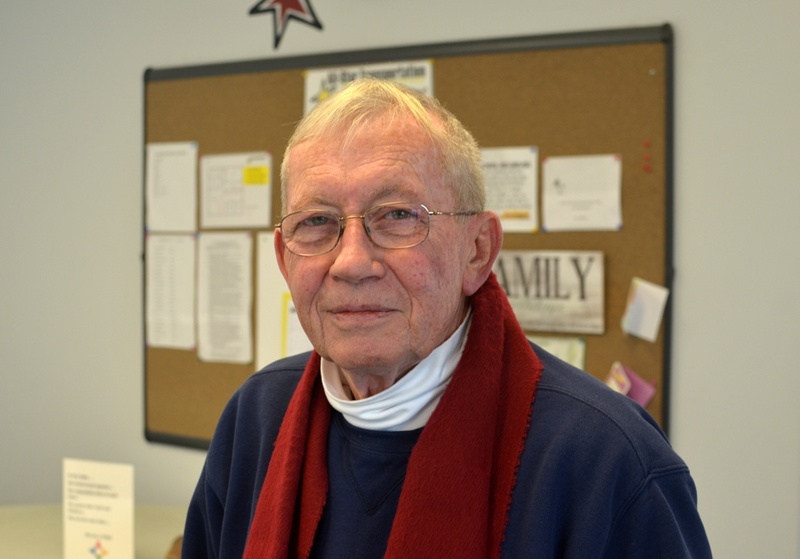 Clark, 73, worked for a large chemical and oil company, beginning his career after graduating from Rensselaer Polytechnic Institute with a degree in chemical engineering. His first job was in Costa Rica and, from there, he rose through the ranks to eventually become president of the company’s international division. He joined All-Star 10 years ago, about a year after building a new house in Woodbury. Clark, who says “I couldn’t find Woodbury on a map” before relocating to Connecticut, now is very familiar with school bus routes and roads throughout the Washington area. “By the time I completed my second year, I had done every route and driven every vehicle,” he says. “Around 2011, I became a trainer. I’ve trained a lot of people in a lot of different things. I had an education as a chemical engineer, so I had to train junior chemical engineers. And eventually I became a senior marketer, and I had to train junior marketers. Then I became an officer of the company, and I had to train everybody. There are some consistent streams or similarities in all forms of training. 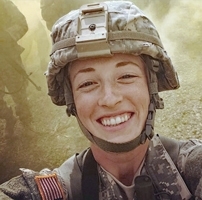 “One thing that I did observe here is that we have a pretty diverse group of people – young and old, male and female – people from all different walks of life, but they all approach the (driver) testing process with trepidation, even though they know how to drive and even though they may have passed their prior tests three or four times. They are still very nervous about being able to pass their test. All-Star’s good fortune in hiring Clark was the result of one of the country’s great tragedies – the Sept. 11, 2011 attacks on the World Trade Center. Clark and his wife were living in New York at the time of the attack. In fact, their home was in Battery Park City, four blocks south of the World Trade Towers at the southern tip of Manhattan. On Sept.11, after the first airliner struck the North Tower of the World Trade Center, Clark was outside his talking with people when he witnessed a second aircraft strike the South Tower. He quickly returned home to tell his wife and her mother that they had to pack – they were getting out of Manhattan. Then later that morning as he was standing on West Street talking to a police officer about how get out of New York, the first of the Twin Towers collapsed. When the tower collapsed, Clark and the police officer were overwhelmed by a fast-moving cloud of dust, smoke and debris. “It took at least five minutes before you could see your hand in front of your face,” he remembered. When he could see again, Clark returned home, looking for his family. When he realized no one was home, he searched every building in the area looking for them. In each building he shouted for his wife, but in the chaos, he did not hear her reply. Eventually, she and others in the area were evacuated to New Jersey. Clark, meanwhile, retrieved the family car and as he was driving out of the city, he received a call from his son telling him where his wife was located. Clark had to take a long, roundabout route to escape the city and eventually reunite with his wife. Following that attack, Clark and wife decided they needed a home outside the city. So, he searched and settled upon Woodbury. He purchased land and built a new house, which solved one problem but created another issue. “So, here I am in a brand-new house with brand new furniture, everything is absolutely immaculate. There is virtually nothing left to be done and my wife is working New York. And I said, ‘I can’t do nothing, I have to do something,’ and then I saw an ad in the paper for All-Star,” Clark recalled. The advertisement announced openings for school bus drivers in Oxford and Washington. Clark went to both locations, eventually interviewing with Pam Newton in Washington, where he was hired as a driver. It was decision for which he has no regrets. “I am happy doing this, and I get a feeling of reward,” he says. 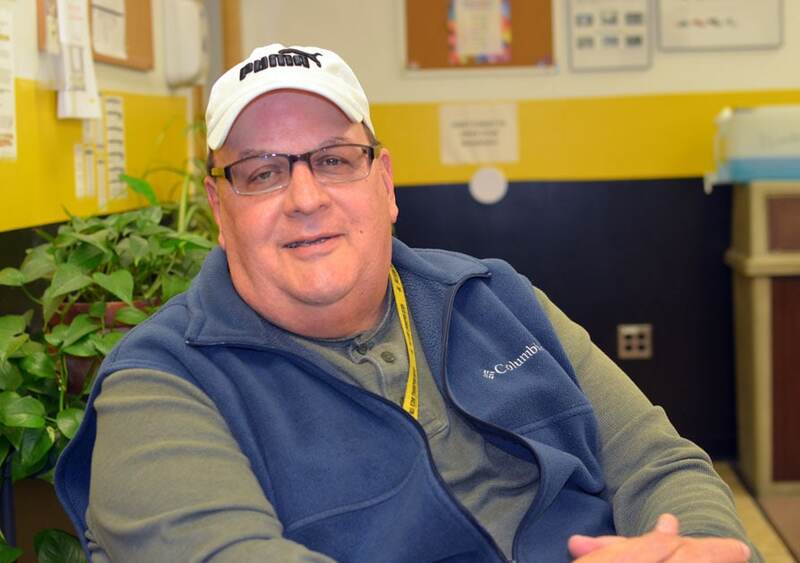 THOMASTON – School bus drivers are called upon to perform many different tasks – keeping an eye on traffic, managing students on the bus and staying alert for the unusual. On most days, the routine doesn’t change, but on Tuesday something struck Thomaston driver Randy Graham as strange. During his morning route, Graham noticed an elderly man sitting on the side of the road on Walnut Hill in Thomaston. The man was wearing a hoodie, despite temperatures in the teens, and looked confused. Concerned by what he saw, Graham called Thomaston police after he dropped his students off later that morning at Center School. “I saw an old guy sitting on the side of the road. He looked dazed and confused. I knew he was in some kind of trouble,” said Graham, who worked as a police officer for 26 years before retiring. He has been driving school buses since 2011. Graham’s instincts proved to be correct. Later Tuesday, police stopped by the All-Star Transportation terminal in Thomaston to thank Graham for his call. The confused old man suffers from dementia, and he had wandered about a half mile from his residence on Walnut Hill. Graham’s call had made it possible for the man to be returned home safely. NEWTOWN – When Jim Tomassetti says that he’s seen it all as a bus driver, he’s not kidding. He began his career as a school bus driver 47 years ago, and when he starts talking about his experiences, the years flow by in an endless stream of entertaining remembrances and stories. “My parents didn’t want me to be a driver, but I didn’t listen to them. All my friends were drivers,” says Tomassetti, who began driving a school bus at age 18 right after graduating in 1972 from Masuk High School in Monroe. “I always knew I was going to be a bus driver,” he says, recalling a story that his mother told him. She said that when he was a young boy in Bridgeport, Tomassetti would become excited whenever he saw a city bus. “I guess I always had a thing for buses,” he adds. When thinking back to his first days as a driver, Tomassetti becomes nostalgic. He started with the Dunn Bus Co. in Monroe, where he drove school buses for 10 years until the company went out of business. He recalls fondly driving Dodges with Ward bodies – “they had style, today they all look alike” – no power steering and no heat. Prior to driving a school bus in Newtown, Tomassetti drove in Easton and Trumbull, in addition to Monroe. He also drove a transit bus in Bridgeport for eight years during his off hours until he says “I couldn’t take it any longer.” One time while driving his city bus, he was assaulted by two men, one of who punched him in the face, knocking his glasses off. Bloodied, but not terribly injured, he completed his shift. Another time, a bank robber boarded his bus. The man had paid his fare, and no one knew he had just robbed a bank until police surrounded and boarded the bus to take the robber down. “He robbed a bank and got on my bus, can you believe it?” Tomassetti says. Driving a school bus was always the safer and better job, although it also had its challenges in the years when he first began driving. In addition to lacking heat and automatic transmissions, the buses also lacked radios. So, if a bus had a mechanical issue, the driver had to be a quick thinker and resourceful to get help and transport students safely to school. When he first began driving in Newtown, he did so as an independent contractor. He owned and maintained his own bus, taking on the responsibility of having his bus inspected every year and fit for the road. In fact, all the buses in Newtown were operated by independent contractors until All-Star Transportation secured a town-wide contract seven years ago. 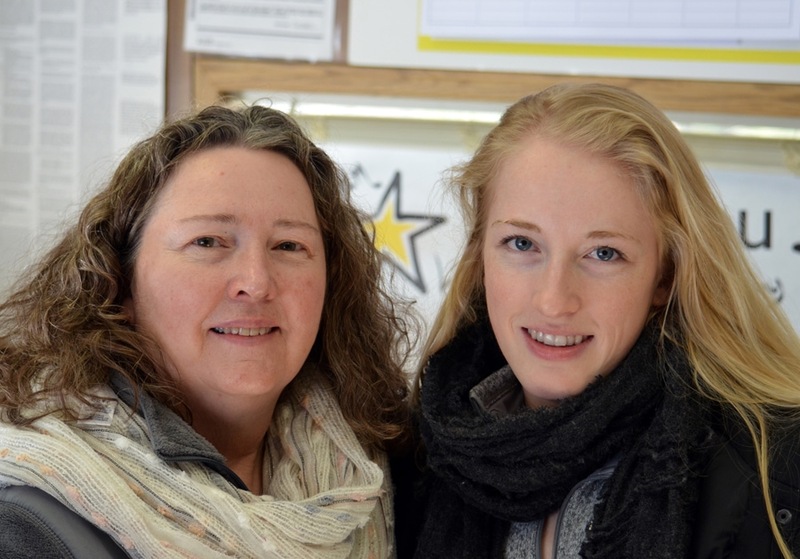 After All-Star took over, Tomassetti joined its staff in Newtown. His years of experience have taught him many lessons, especially when it comes to the care of the students he transports. He says he has more patience now when dealing with students. But he adds that when he tells his students to do something, he expects his orders to be followed and his students generally obey. Like many drivers, he also has built relationships with his parents. In fact, when he had hip replacement surgery this past summer, it was the mother of one of his students who drove to his hospital in Hartford to pick him up and take him home. He says the worst day of his career was the Sandy Hook shooting in 2012. He had two students that afternoon that he had to take home to Sandy Hook. To protect them, he had them lie down on the bus seats so that onlookers and the news media could not see them. “I could not stop crying,” he said, explaining that he had to take time off after the shooting to recover. Aumkar Patel wearing an All-Star T-shirt featuring his winning poster. 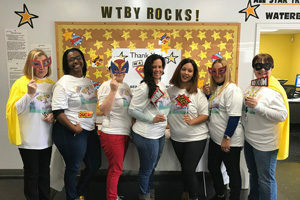 WATERBURY – All-Star Transportation pulled out all the stops to celebrate this year’s National School Bus Safety Week, hosting a variety of safety exercises, organizing community events and providing special T-shirts to all of its drivers. 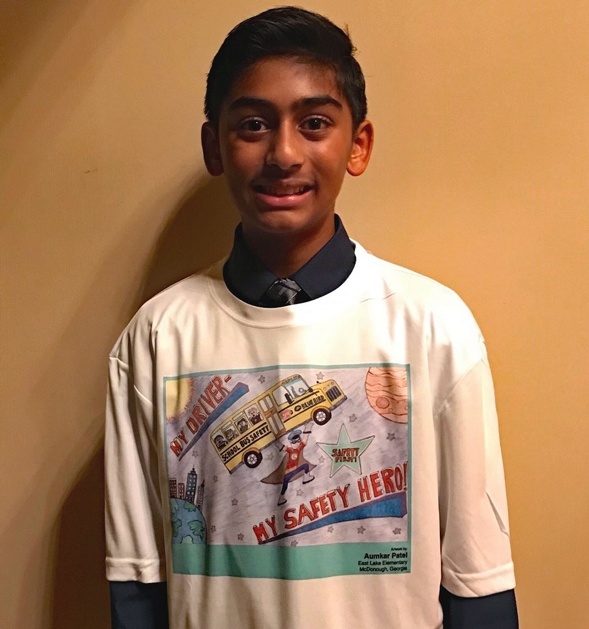 The T-shirts, sponsored in part by Blue Bird Corp., featured the winning poster from this year’s National School Bus Safety Week poster contest, which is hosted annually by the National Association for Pupil Transportation (NAPT). Employees wore the T-shirts while making their daily runs to remind students, parents, teachers and school administrators of the importance of their role in school bus safety. The winning posted was designed by Aumkar Patel, a student at East Lake Elementary in McDonough, GA. In advance of National School Bus Safety Week, All-Star reached out to all the school districts that it serves to alert administrators to the upcoming week. The company encouraged administrators to commemorate the week and offered to collaborate on special events that the schools organized. All-Star also sent notices by email and social media to its employees to remind them of the special week. The weeklong celebration featured safety events, such as bus evacuation drills and reviews of school bus rules with students that were conducted on buses during school hours. 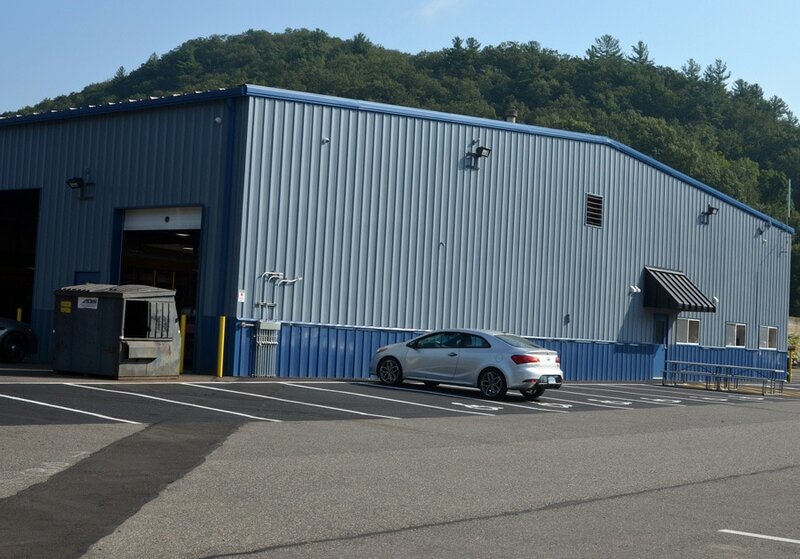 At the company’s terminal in Newtown, meetings were held with elementary school principals and teachers to discuss “bridging the gap” between classroom and school bus behavior. 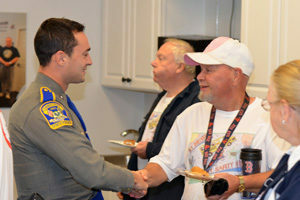 In celebration of drivers and monitors, a variety of events also were held at each of the terminals, including breakfasts, coffee and donuts, pizza lunches, free balloons and flowers. At the Washington terminal, local firefighters and police officers were invited to join the celebration of drivers because of their special role as “local heroes.” The company also posted photos and stories daily on its Facebook page to build excitement and keep employees engaged. 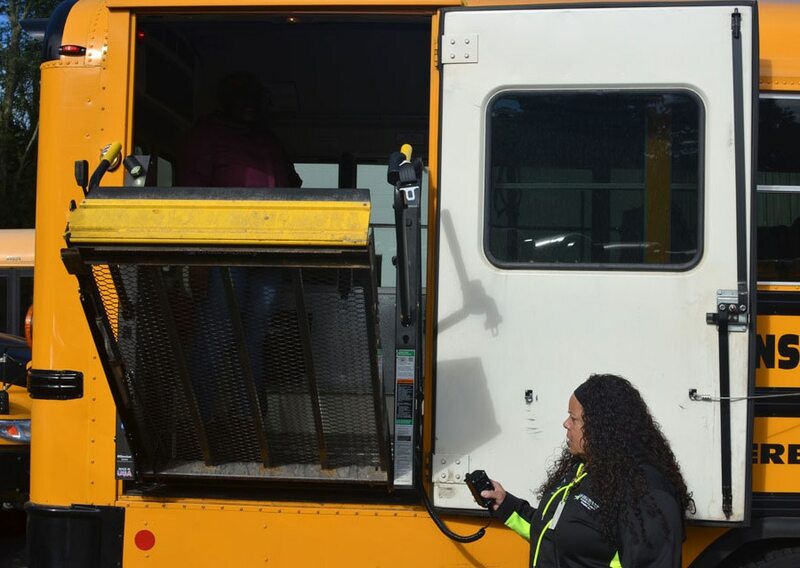 WATERBURY – Loading and unloading special-needs student on a school bus can be a challenging daily task, and it can be especially critical for students, monitors and drivers during an emergency. That’s why All-Star Transportation drivers and their monitors prepare evacuation plans for their buses. In Waterbury, where All-Star provides buses for special needs students, drivers and monitors spent the opening weeks of the 2018-19 school year reviewing and updating their evacuation plans. Waterbury Manager Ed Costa looks over new bus evacuation plans. The main feature of an evacuation plan is a floor plan that notes the location of the first aid kit, the fire extinguisher, the fire blanket, the radio and the seat belt cutter. An evacuation plan also includes a list of where each student sits and a brief description of each student’s disability. The plan further notes whether a student is mobile or needs assistance when evacuating. Also critical to an evacuation plan is a knowledge of wheelchairs and the systems used to secure them in the buses. In some events, drivers and monitors may not have the time to operate lifts and unload wheelchairs as normal. So, in preparing their evacuation plans, drivers and monitors the Waterbury staff reviewed how to release each seat belt within the chair and other body support apparatus; how to remove each child’s work tray; how to release the foot straps; and how to release the harness on travel chairs. “This has been a very worthwhile exercise because it has sparked conversation between the drivers and monitors, and other staff,” Bass said. “I am very impressed with the attention to detail and plans that are being submitted for our review. “One of the very important lessons that I learned while attending any special needs training is that we should never put a child on the bus unless we know how to get them off,” Bass said. Once approved, copies of the evacuation plans kept in the bus, along with route sheets, for spare drivers. WATERBURY – All-Star Transportation will once again celebrate National School Bus Safety Week, which this year will run from Oct. 22-26. The safety week is an educational program of the National Association for Pupil Transportation (NAPT). It is held the third week of October and is recognized as an excellent way for parents, students, teachers, motorists, school bus operators, school administrators, and other interested parties – to join forces and address the importance of school bus safety. In the communities served by All-Star Transportation a number of special events will be held, including school bus safety training for students and a breakfast for police and other safety officials. All-Star drivers and monitors also will wear T-shirts featuring this year’s School Bus Safety Week poster. The T-shirts are sponsored by School Lines Inc., a distributor of Blue Bird school buses. 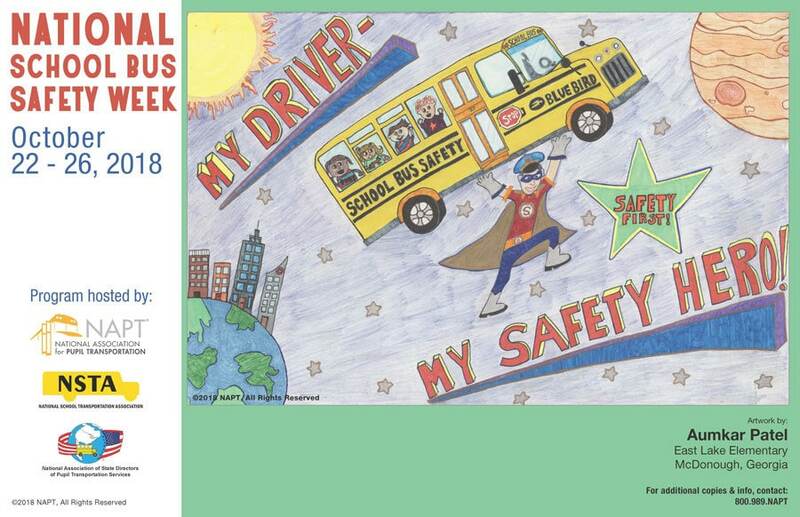 The theme for this year’s safety week is “My Driver – My Safety Hero!” The theme is derived from an annual NAPT poster contest. The 2017 winning poster (see photo) was drawn by Aumkar Patel, a 5th Grader at Henry County Schools in McDonough, GA.